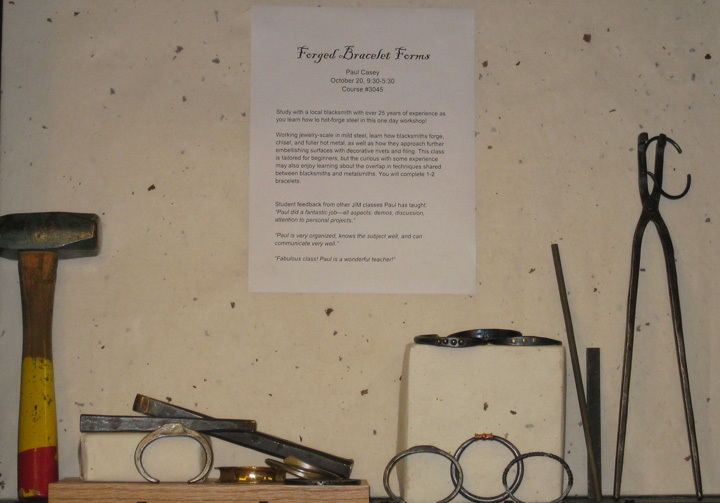 This entry was posted on Saturday, October 6th, 2012 at 5:17 pm	and tagged with blacksmithing, bracelet, bracelets, classes, forging, jewelry, Pratt, Seattle, steel bracelet and posted in Classes and workshops. You can follow any responses to this entry through the RSS 2.0 feed. « Buy locally. Is it so new? Just two spaces left!! Great job, Paul!